Clifestyle is a big social network website that lets people communicate and meet each other. From attractive users profile page you can learn all the information about site member, check his posts, main events, contact him. Articles section allows your users to make different postings. 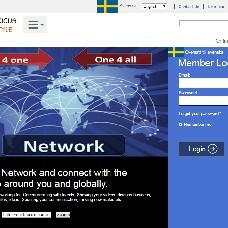 Other users and guests of the websites can comment on them. The website includes a unique events section that contains all the information about the upcoming events. Users can join them and take active part in any events.